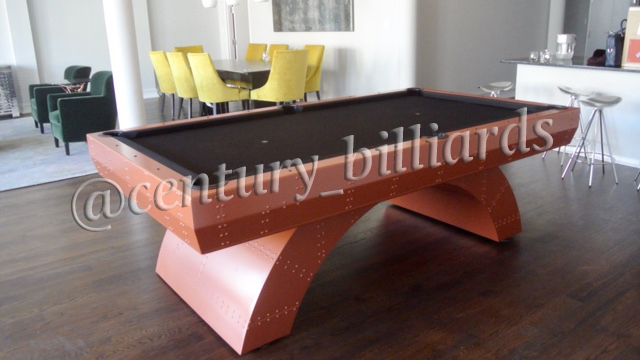 If you are looking for that industrial modern look for your apartment, game room or man cave, Century Billiard’s custom pool table nicknamed The Aviator is the perfect choice. Its name comes from that fact it’s modeled after the Boeing airplane and is built just as strong, if not stronger. Its industrial aesthetic has made it a popular choice amongst Brooklynites and it was most recently installed into a home in SOHO, NY. 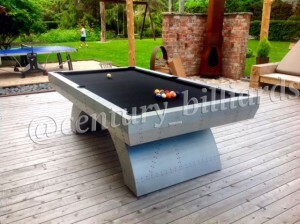 Aluminum construction with custom finishes. 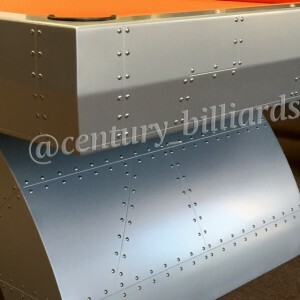 Century Billiards is the only company to offer all metal components. 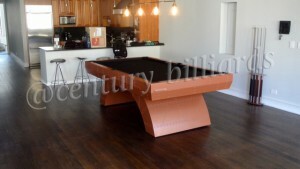 All other pool table builders offer this style of table in a laminate, whereas our tables are a beautiful seamless construction. 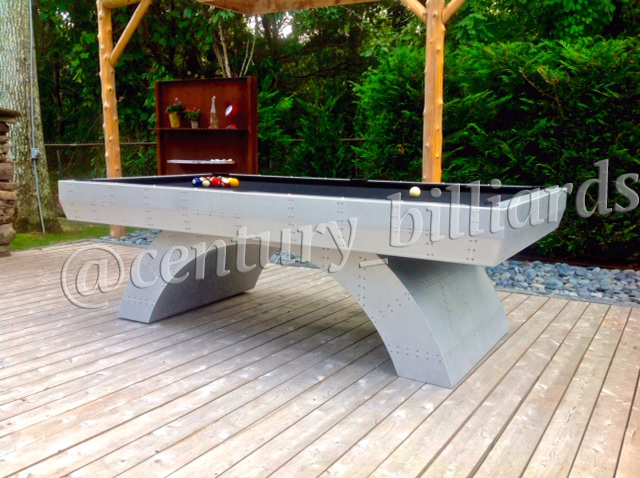 You can check out the hand craftsmanship by watching our video here. There is no comparison, we offer hands down, the most durable custom pool tables on the planet so it can become the masterpiece or centerpiece of your home. 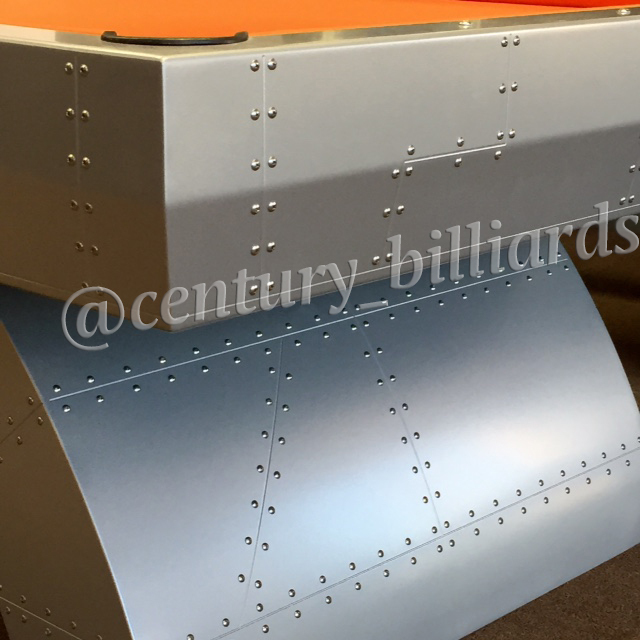 Click Here To See Some of Our other Aviator Pool Tables! 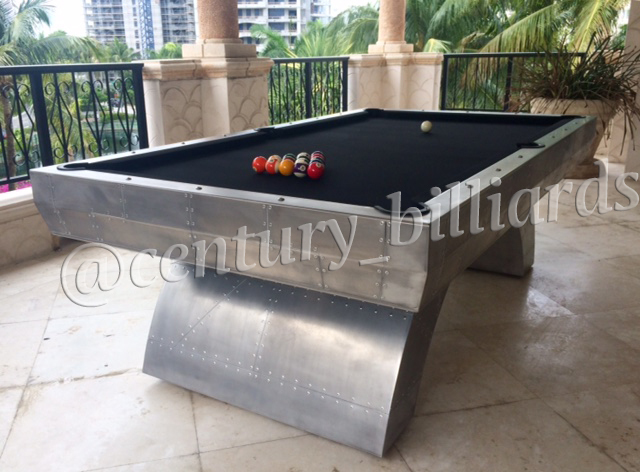 Not only can we create a custom Aviator pool table, we can also offer it in other popular games such as custom foosball tables, custom shuffleboard tables, and custom ping pong tables. We have the latest styles and trends in the industrial aesthetic so you can have the game room you’ve always envisioned.